Team doctor Stephen Mbewe told zescounitedfc.com that Silwimba has a pain in his right thigh and training will aggravate the muscle. 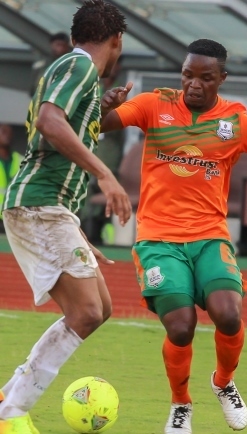 Mbewe said Defender Zimiseleni Moyo is still out of action as he is nursing a knee injury that he sustained during the charity shield semi-finals against Red Arrows at Arthur Davies stadium. Another injury in the team is being nursed by Alfred Luputa who has been out for close to two months. “Luputa was taken to the Italian Orthopedic Hospital and was examined and given medication…..He will have to go back for review and that is when we will be able to know the way forward otherwise as it is he is still injured and cannot even train,” he said.